Happy Holi to all of you!!! May this festival of colors fill your life with sweet month that can be cherished forever. Spring has officially set in. The mornings are pleasant and crisp and the air smells earthy. These days I wake up to beautiful vistas. Vistas, where the world seems to be greener, fresher and vibrant and soothing. I am filled with a kind of energy that inspires me to stay on my feet and finish as many chores as possible. Since the days are getting longer, I have also started taking evening strolls. I walk into this captivating beauty, to touch the vibrant Bouganvillas, feel the wind in my hair, watch the fluttering butterflies, listen to the chirping birds and capture everything in my mind's eye. Spring also marks the arrival of Holi- The Indian festival of colors. Apart from colors, I feel that holi is also the festival of food. 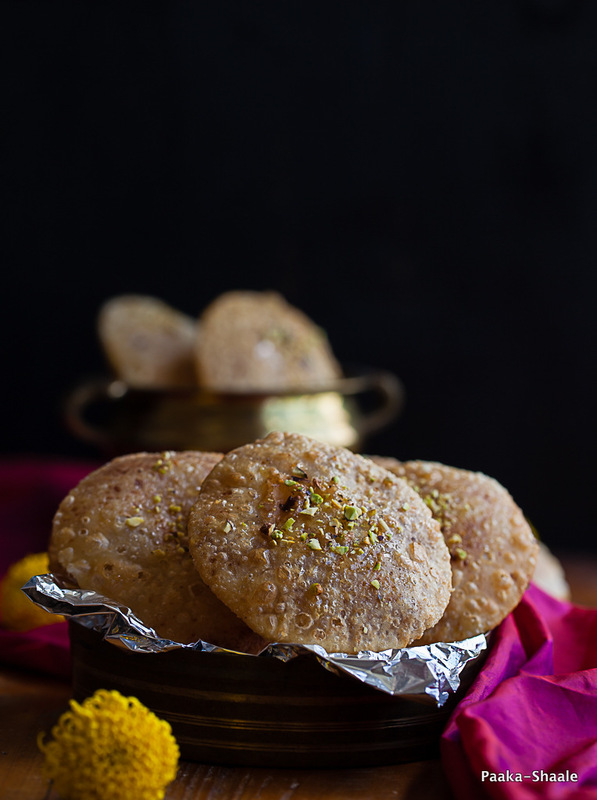 Holi menu normally consists of Thandai, gujiyas, Phirnis, Chaats and Kachoris. 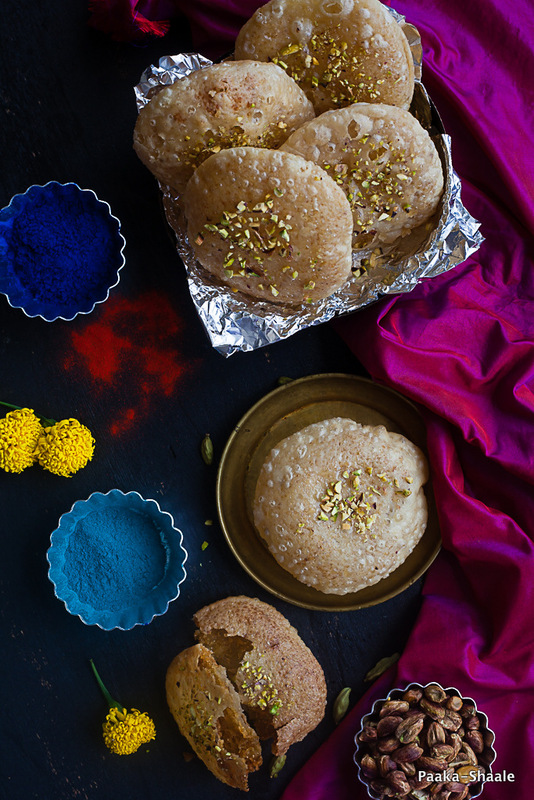 Kachoris are something that categorically prepared during the festival of colors. Different types of Kachoris are made during this festival. Some make sweet and some make it savory. 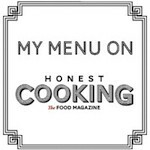 As for me, I made the KAchori with coconut and jaggery stuffing. We call this dish "kayi puri". 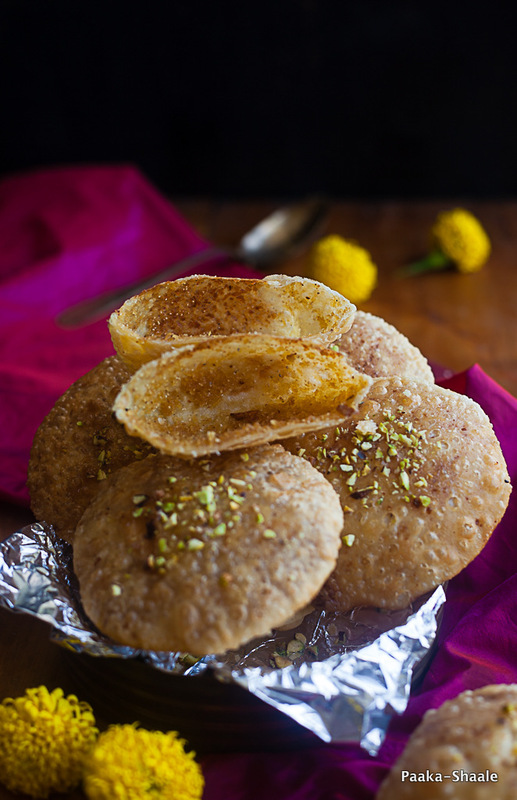 The kayi puri is nothing but a type of kachori where the flaky, pastry like dough is stuffed with sweet, jaggery and coconut filling. 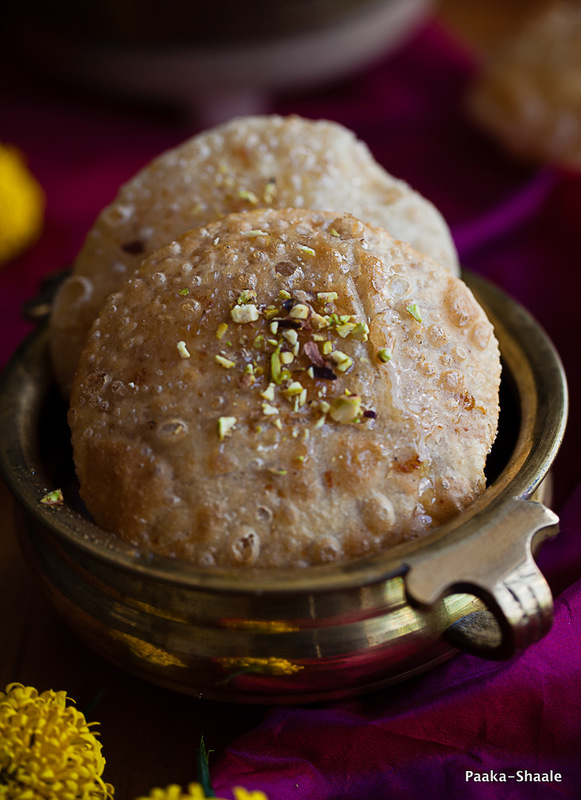 You can say that this is a South Indian variation of the famous mawa kachori. This version is healthy, delicious and absolutely wholesome. 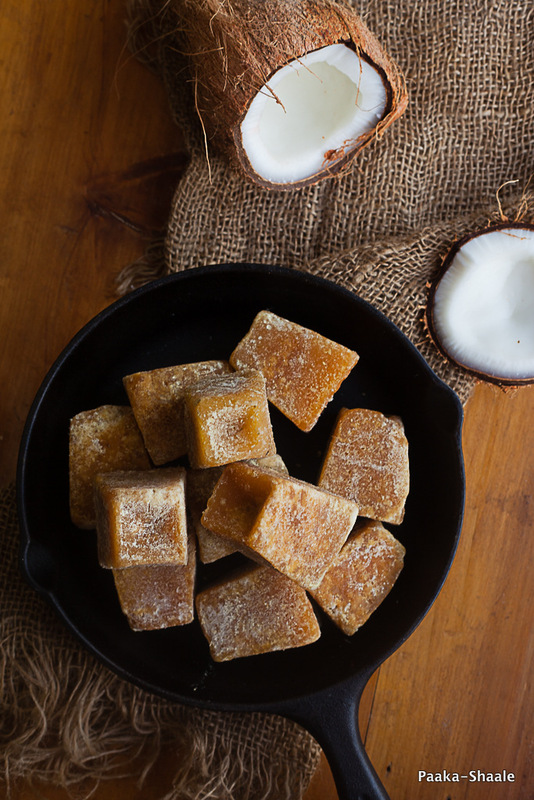 One bite into this flaky sweet dish and I am sure you will be addicted. The recipe for this dish comes from my grand mother. This incidentally happens to be one of the last things I learnt from her. I remember making at least a dozen phone calls when I made this the first time. She had guided me patiently with each step, Giving out tips and suggestions. Ohhh I so miss Ajji!!! The best thing about these Kachoris is that, that they can be stored in air tight containers for upto 4-5days. Just before serving, warm the kachoris in over for 5mins and serve. The preparation of this dish is lightly labor intensive. So I suggest you plan it on a not so busy day!! Have fun making these!! Happy holi once again!!! Freshly grated nutmeg- a pinch. Heat ghee in a thick bottomed pan. 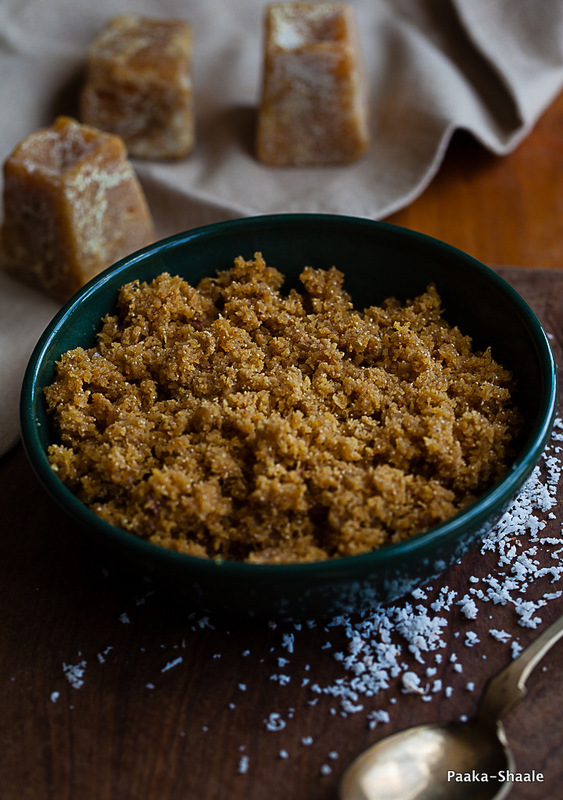 Add the freshly grated coconut and jaggery and mix well. Allow the mixture to cook on low heat for 3-4 min, mixing from time to time. Add the toasted poppy seeds and continue mixing till the moisture is evaporated and the mixture comes together in a lump. Add the cardamom powder and nutmeg powder. Mix well and take off the heat. Set aside to cool completely. Divide the dough into 16 equal portions and set aside. Roll out each portion into 2-1/2" disc and place a table spoon of filling in the centre. Gather the edges to wrap the filling and seal it. 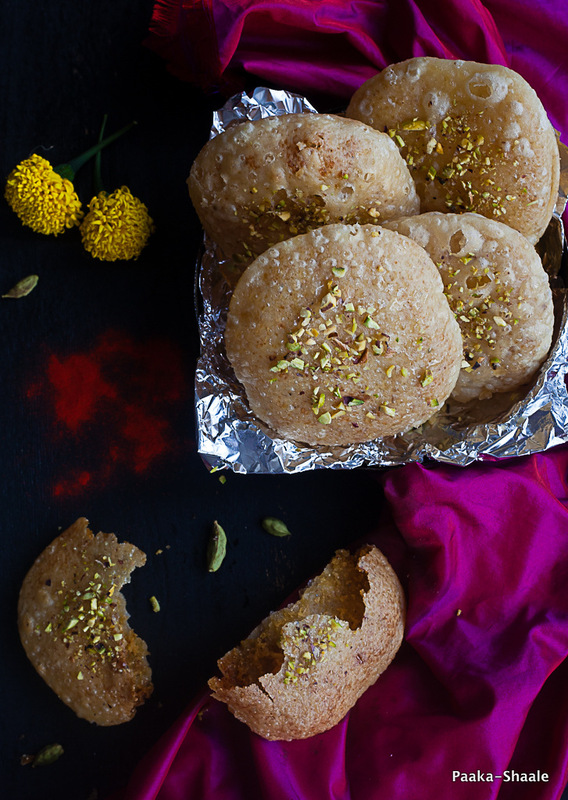 Flatten it slightly with your palms and Roll the kachori again into a disc of 4-5" diameter. Repeat the process with the rest of the dough and filling. Heat oil in a large wok. Add the prepared kachoris 2-3 at a time and fry them on low heat till they turn golden brown in color. Take off the heat and drain them on absorbent paper. Repeat the process of frying to make the rest of the kachoris. Garnish with chopped pistachios and serve immediately. Do allow the dough to dry out. This can cause the kachoris to tear which will let the oil seep into the kachoris while frying. To avoid this, keep the dough covered with a wet cloth at all times. Make sure the filling is lump free as it will cause the disc to tear. Happy Holi to you and your family Nandita. 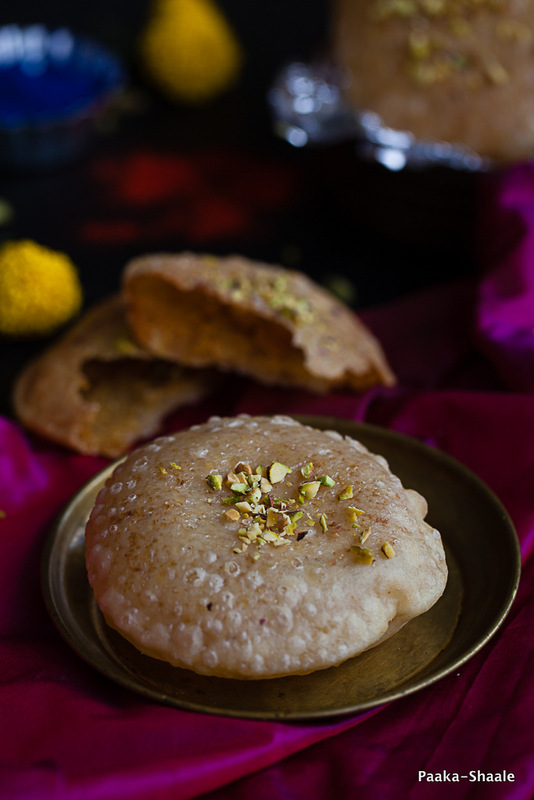 Those meethi kachoris look so flaky and delicious. Awesome recipe.